I haven't been feeling too well lately but I finally got around to doing Mojo Monday today. I used the "You're Amazing" stamp set and World Spectacular DSP. 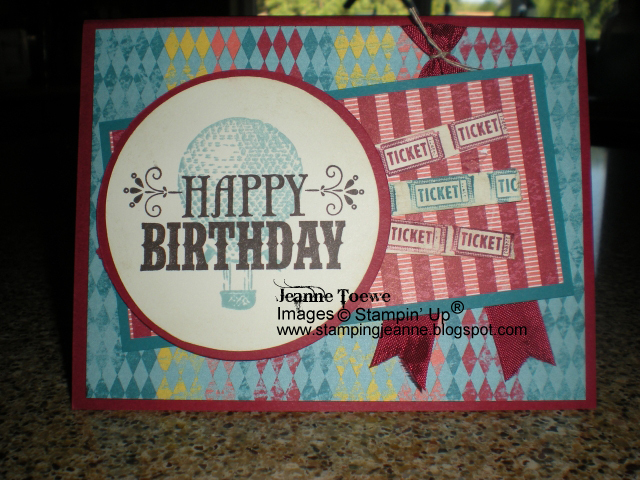 super sweet birthday card...luv the mix of patterns....so glad you played along with us at Mojo Monday....have a great week!